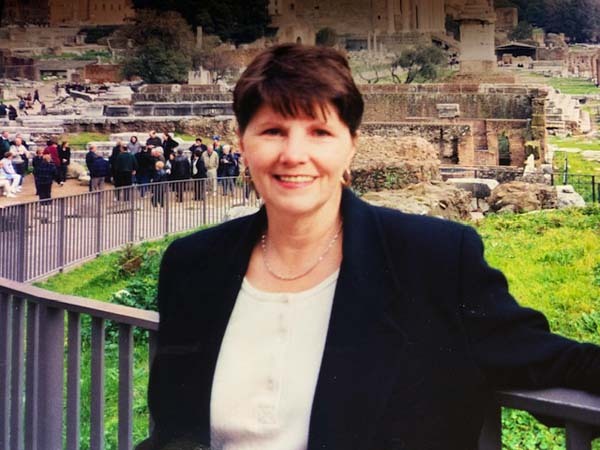 Marion J. Bono, 77, of Leesburg, Fla. and of State Highway 30, Northville, passed away on Monday, April 8, 2019, at her home in Northville, surrounded by her loving family. She was born in Gloversville on May 21, 1941, a daughter of Willard and Mary Greenfield Smith and attended school there. Marion later attended FMCC. She enjoyed wintering in Florida for several years. Mrs. Bono was employed as teacher’s aide at Northville Central School, retiring in 2004. She attended St. Francis of Assisi Catholic Church while in Northville and St. Paul’s Catholic Church in Florida. Marion was a member of the Red Hat Society in Florida and was very proud to be the Hawthorne Queen in Leesburg. She enjoyed gardening and photography. Marion also enjoyed volunteering with Knights of Columbus functions. In addition to her parents, she was predeceased by a sister, Edna Smith. Survivors include her husband, Mario R. Bono, whom she married on October 8, 2005; four daughters, Susan (Mike) Cook of Vilonia, AR, Kelly (Kevin) Lance of Hobbs, NM, Jennifer (Curtis) Border of Davis, CA, and Cathy (Richard) Winslow of Ballston Spa, NY; Mario’s daughters, Antoinette (Peter) Franklin of Valatie, NY and Lynn Ann (Jose) Felix of Milford, PA; a brother, Willard Smith of Cobleskill, NY; a sister, Ellen Dorman of Gloversville, NY; fourteen grandchildren; three great-grandchildren; and several nieces, nephews, and cousins. Calling hours will be held on Thursday from 4 to 7 p.m. at the Robert M. Halgas Funeral Home Inc., 111 County Highway 106 (corner of Route 29 and Black Street), Johnstown. A Mass of Christian burial will be celebrated on Friday at 10 a.m. at St. Joseph’s Church, 7 North Street, Broadalbin, with the Rev. Jun Segura, officiating. Burial will be in Prospect Hill Cemetery, Northville at a later date. Memorial contributions may be made to Mountain Valley Hospice, in care of the funeral home. A special thanks to the Johnstown Senior Center for the care that was provided. Her family gratefully acknowledges the compassionate care that was provided by Mountain Valley Hospice.